The fantastic Bombay Box is actually inspired by the story of an Australian couple from the Twenties, Mary and John Newby, who travelled to Rajasthan’s Camel Fair every year to select breeding stock for the Australian outback. Used to a somewhat more extravagant way of life than what this dusty fair had to offer, Mary and John brought along a stock of fine wines, strapped campaign boxes on to their Bentleys, and lived out in the desert while visiting the fair. The Bombay Box is a replica model of such campaign boxes, and is great for using as a side table. 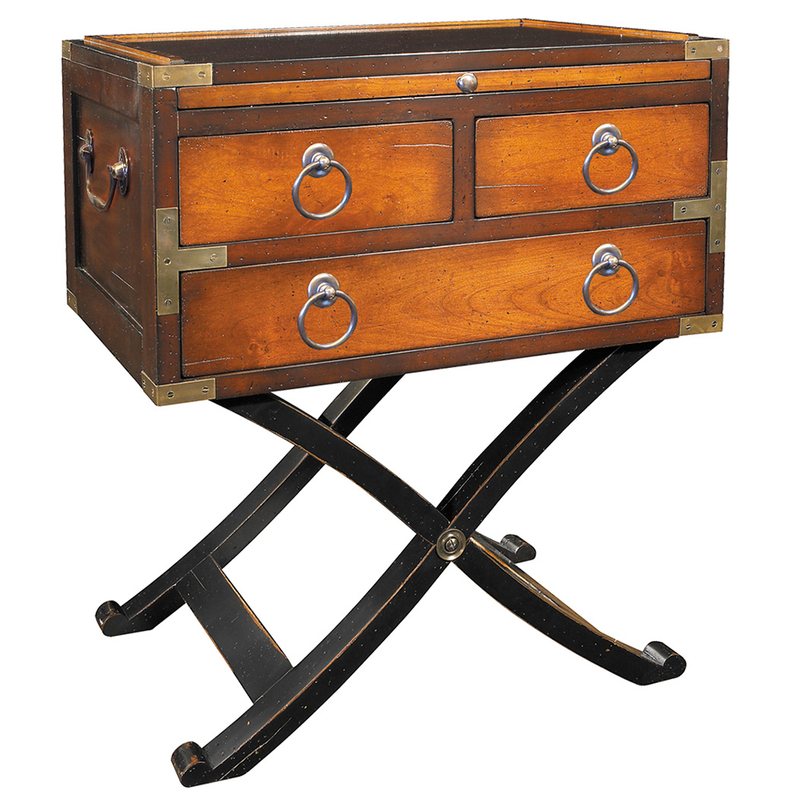 Crafted from solid cherry- and birchwood, it has been stained to resemble a true antique, and is equipped with three drawers and a slide-out shelf for additional surface space. History really comes to to life, thanks to Authentic Models. Made from cherry- and birchwood. Two small and one large drawer, with brass handles. Slide-out shelf for additional surface space. Demountable stand for easy storage and rearranging. Dimensions: 66cm (w) x 40cm (d) x 56.5cm (h).